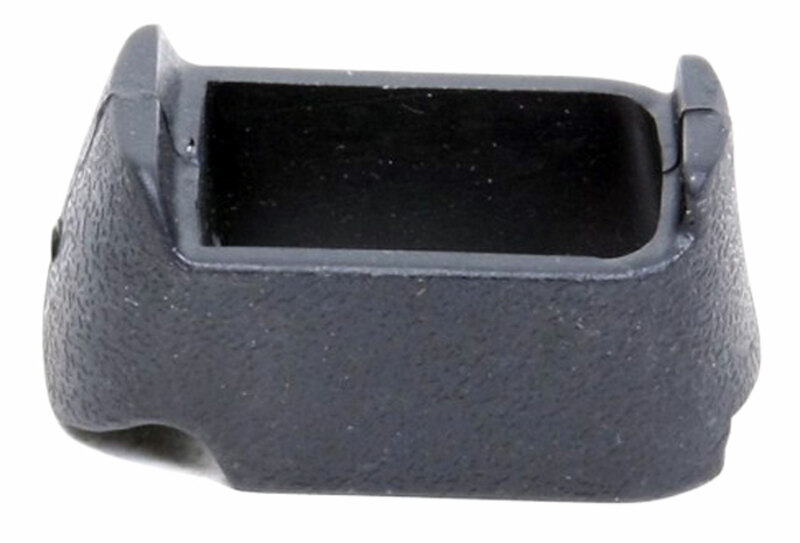 This grip spacer allows the use of Glock 19/23 magazines in Glock 26/27 pistols. The spacer takes up the space between the bottom of the frame and the floor plate of the longer magazines. It is held in place by a single Allen-head cap-screw, and is textured to match the Glock pistol frame. The spacer is constructed from injection-molded polymer.